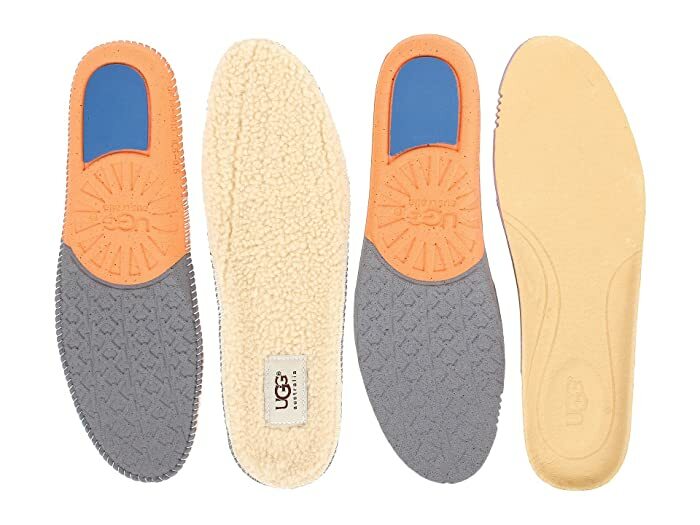 Make each stride a memorable one in these signature UGG® comfort insoles! 7mm curly UGGpure™ and rich smooth leather insoles provide optimal comfort. Molded design for superior support and expert fit. Dual density foam offers additional support and cushion. 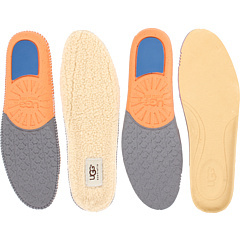 Fight off mold and odor with the breathable Open Cell PU Foam. PORON® cushioned heel absorbs shock and helps maintain shape.